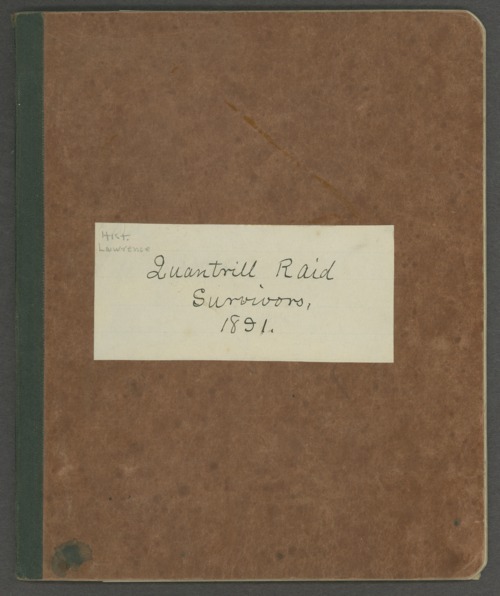 This is a list of the people who survived Quantrill's Raid on Lawrence, Kansas. On August 21, 1863, William Quantrill and his followers attacked Lawrence, a free-state stronghold. After a four-hour siege, they had destroyed the town. Businesses and homes were looted and the town was burned. Quantrill and his men rounded up many men and boys into the middle of the town and as their wives and daughters watched, they were executed.